The Question is: are you ready for a pet Parrot? 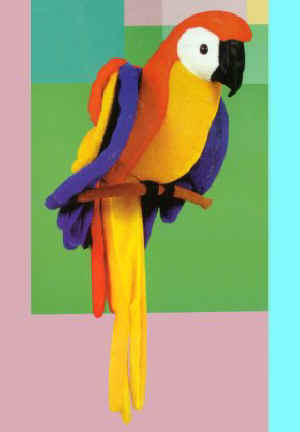 parrot research the type of parrot that you are considering. filled to capacity with the “mistakes” other people have made. Then ask yourself the following questions! everywhere. Seed, pellets and nutshells end up on the floor. at least once a week, sometimes more. everything. Dusting will be an everyday chore. are just what normal birds do. Some birds scream constantly!! Are you afraid of being bitten, or the sight of your own blood? some people freak out over a little bird poop on their new shirt. parrot can remove or break a button in less than a second. snapped in half by a tiny little parrotlet. least once a year to make sure they are not masking any illness. enough. He will also need to have blood work and cultures done. $1,500 on emergency vet care. them to be happy or healthy. They need variety and moderation. that should never be fed. after a perpetual 2 year old child, or a hormonal teenager? doesn’t mean that other family members will take them on. were left to family members who did not want them. non-parrot owning friends won't want to baby sit. BIRDS ARE A LIFETIME COMMITMENT! IF YOU CAN'T MAKE THAT COMMITMENT, WANT A PARROT BECAUSE IT TALKS, DON'T WANT TO BE BITTEN, WANT ONE THAT NEVER SCREAMS, GET A STUFFED PARROT INSTEAD!! by an inexperienced feeder can be DEADLY!!!! your life with a parrot but you won't own him. He will own you! !